JMV is a known name in manufacturing highly conductive & corrosion free Electrical Earthing System. In the absence of a well-designed successful electrical earthing system, earth fault conditions result to enormous loss of assets and human lives. 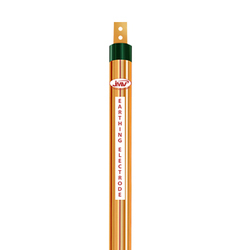 JMV is up with full range of Electrical Earthing Rods is extensively used in different industrial applications to protect equipments and lives. Based on solid rod technology, the Copper Bonded Earthing System are electrically and mechanically robust complying UL, IEEE and IEC standards. JMV is a trusted name for delivering completely customizable Chemical Earthing for every Industrial need. Our Chemical earthing is higly dependent on globally-followed technical IEC Standards ytsand approved under UL467 in conjunction to all the technical provisions sustaining 17mm dia and 3m length. JMV ‘s copper bonded earth rod are made from low carbon steel of grade BS 970 or AISI 1018 with a high tensile strength of atleast 600 N/mm2. Low carbon steel core are molecularly bonded with 99.9% pure electrolytic copper. 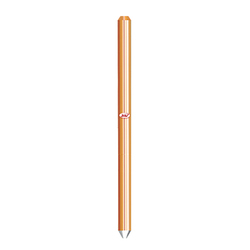 We are a biggest manufacturer and exporter of Copper Bonded Earthing Rods with all its accessories in India. We have an amazing production capacity of manufacturing 3000 rods per day to ensure shortest possible delivery time. 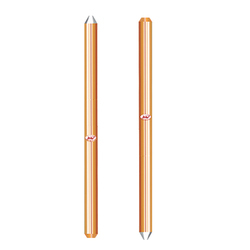 We can supply ground rods in all sizes along with accessories . Chemical Earthing Electrodes offered by us is used in different commercial & Residential areas with perfection pertaining to Earthing, Lightning Protection, Transient Protection and Electrical Safety Systems. Our products are well maintained and have immense functional attributes. They are tested before their dispersal and are outstanding in terms of quality. We adhere to all the basic properties set by the market in order to offer products that contribute to the industrial platform. Looking for Electrical Earthing System ?